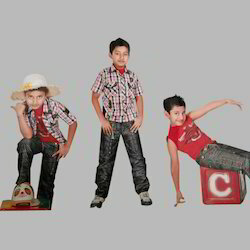 Established in the year, 2002, we,“ Real Choice Kids Garments” hold expertise in trading & exporting of a commendable gamut of Designer Kids Garments. 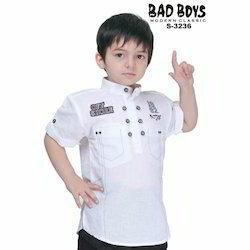 In this range Kids Salwar Kameez, Kids Wear & Churidar Suits. Blessed with an efficient workforce, we are able to deliver a premium assortment of garments to the clients. Besides, the professionals put forth meticulous efforts in ensuring optimum satisfaction of the clients, by presenting an array that effectively caters to their diverse requirements. To keep themselves well versed with the latest fashion trends prevailing in the market and ensure that the garments are designed accordingly. Further, the quality of these garments absolutely complies with the international standards. As a result, our vast assortment comes across as the most preferred choice in the market. Besides, we ensure that the clients face no hassles in their monetary transactions and hence, permit easy payment options such as cash, cheque or DD. Due to these reasons, we are able to maintain healthy ties with our huge clientele spread across the Indian Subcontinent. We exports our products all over the world.